Product Description : Miss highlighting your eyes when you’re running short on time? 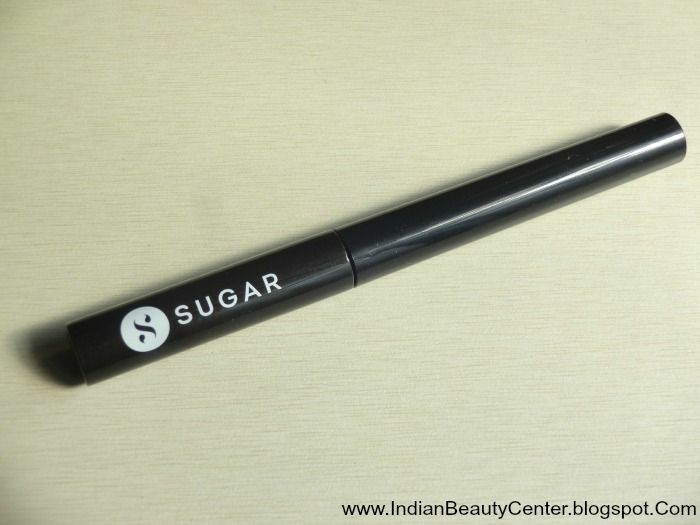 This new Waterproof Eyeliner from SUGAR makes application a breeze and defines your eyes like no other! Specially-designed in an easy-to-apply pen format, the Eye Told You So! gives you a gorgeous silky-matte finish that just does not smudge, budge or peel off. It stays on your lids for 24 hours straight without smearing and is absolute must-have for anyone looking to create some extra magic with their eyes! The SUGAR Eye Told You So! 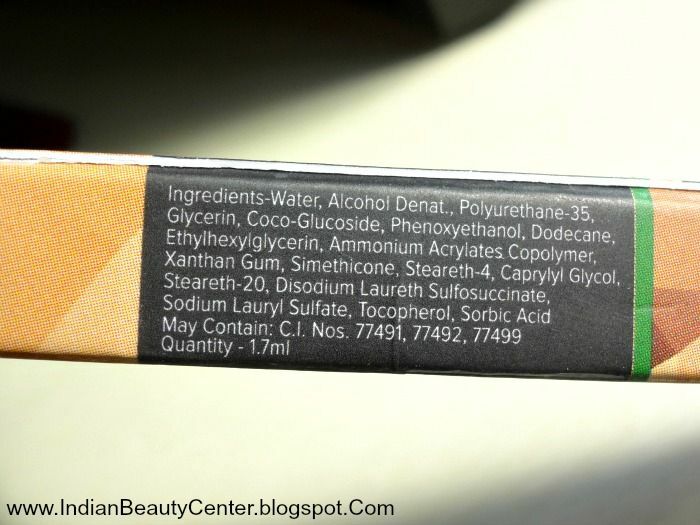 Waterproof Eyeliner is free from parabens & formaldehyde. Peels off with warm water- no separate eye makeup remover required. 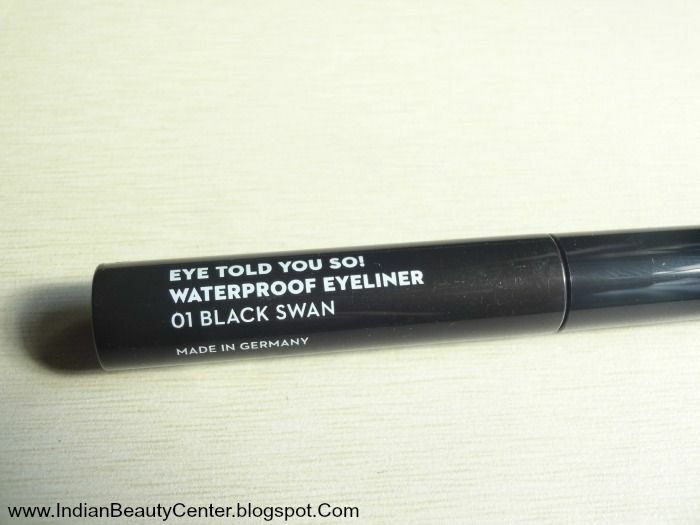 It is made in Germany & currently available in the shade "01 Black Swan". 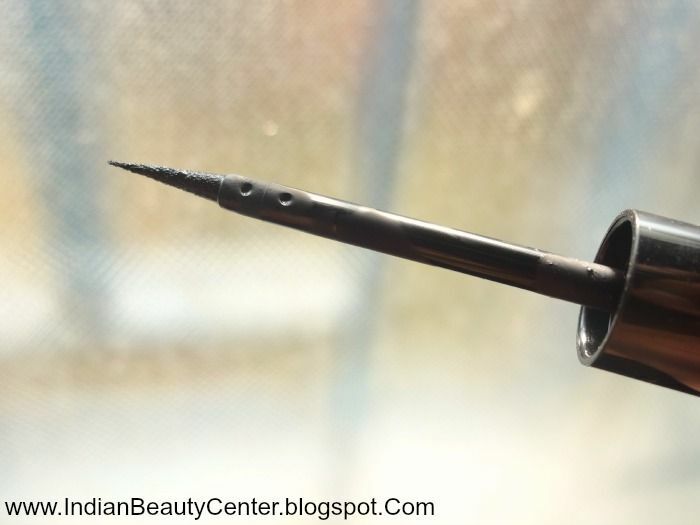 Directions for Use : Dip the liner in the liquid and create a dotted line above your lashes. Connect the dots in the shape you desire and Voila! Your eyes have never looked this stunning! 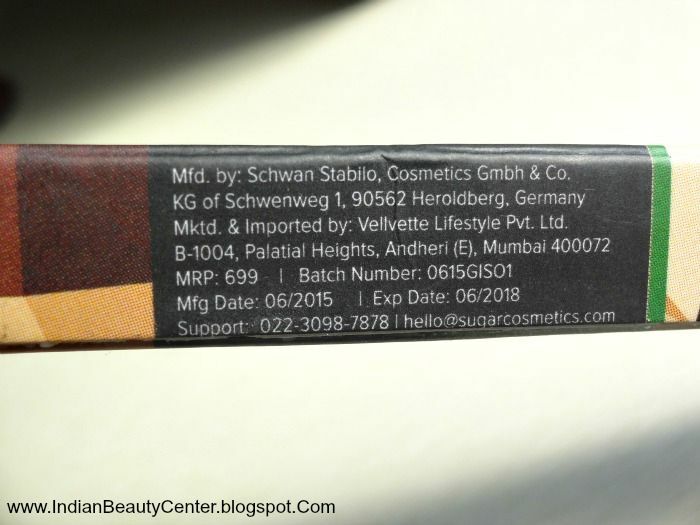 It comes in a cardboard outer packaging, which mention all details regarding the product. It has a felt-tip applicator, which gives me superb control and helps me draw seamless lines without making mistakes. 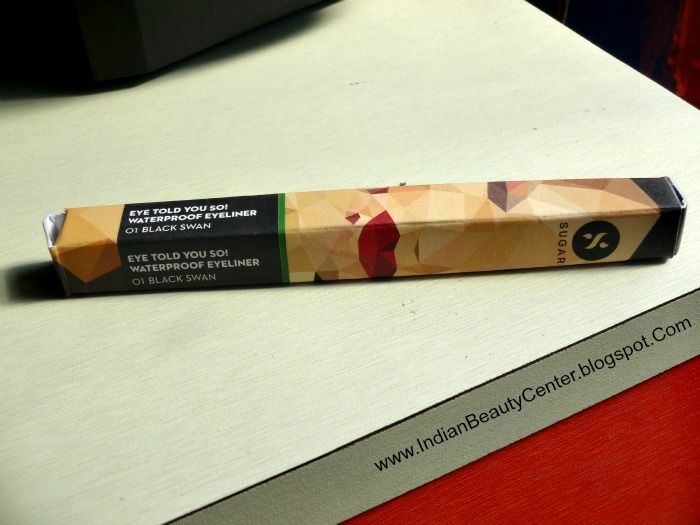 It comes in a simple black stick, which looks really attractive and glossy and I totally love the packaging! It helps me to create thin and thick lines, as per my convenience and dries quickly helping me save some time. Also it's very pigmented and that's why I love my Sugar eye liner. It gives a matte finish and peels off easily with water. But then, I don't know why it's called "waterproof"?! Anyhow, this is a bit expensive but an amazing eyeliner and it totally oomph-s up any eye makeup look. It starts to fades after 5 hours slowly but I love the fact that it provides opaque finish in just one application and does not smudge. I just wish this did not contain SLS. 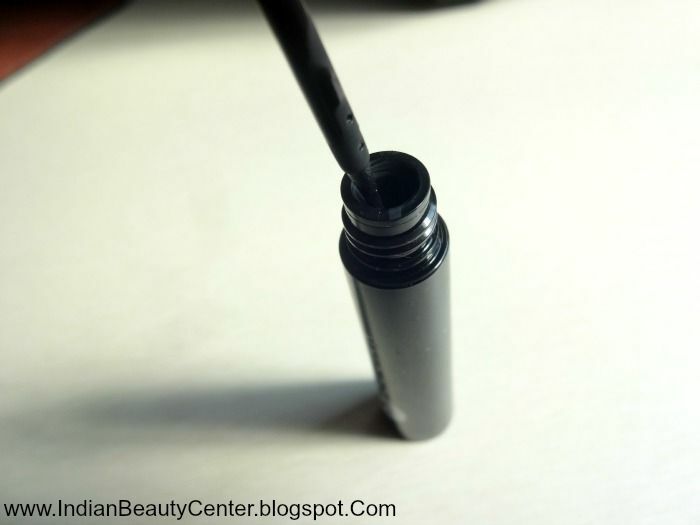 Final verdict : If you are a beginner or a pro, this liquid eyeliner one will surely impress you. It's highly pigmented, made in Germany and does it's job without cause any irritation to the eyes. Comes off easily using water and you can create that perfect winged liner look with this one. Therefore, if you want to try a felt-tip eyeliner then go for this one and although price might be an issue, quantity provided is good and this will last you a long time. The tip seems so good. Perfect for creating a cat eye if you do not want a long staying one. Nice review!